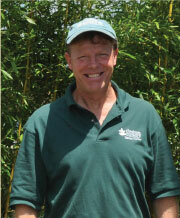 Bill started working at the nursery in 1975. He holds a B.S. in Business Administration from Quinnipiac University. He and his brother Rick bought the business from the previous owner in 2000. Rick has a background in plant propagation. 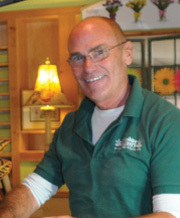 He attended horticulture school in Florida and has worked in a large Connecticut growing facility as well as a manager at Madison. 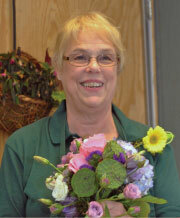 With a passion for anything floral, Sylvia Nichols has been active in the floral industry since 1974. Shop owner for over 25 years, design instructor, national industry spokesperson, award winning designer, wedding and event specialist- you name it - if it has to do with flowers - Sylvia has done it! Lesley's smiling face is familiar to our Nursery customers. 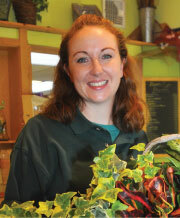 A nursery employee since 2005, she knows lots about houseplants. Now, her artistic side is showing as creates spectacular European basket gardens and can help you choose just the right flowers or plants for any occasion. 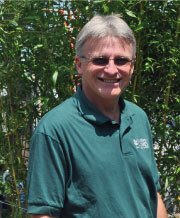 Currently a floral designer, botany was the favorite subject of retired science teacher Tony Poitras. You can find him on Tuesdays and Saturdays behind his design bench creating one of a kind floral arrangements. Wendy joined the team in 2005. 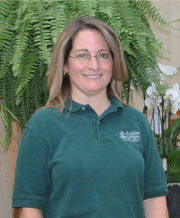 She holds a B.S in marketing and a certificate in Horticulture and Landscape Design. 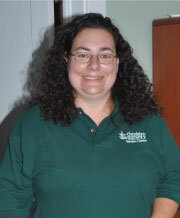 Heidi has been part of the team since her days as a student at Lyman Hall Vocational Agriculture School. 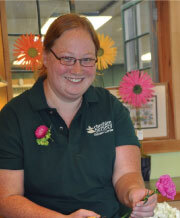 This is Annie's dream job - Trained in a Vo-Ag program and floral design Anne started working in flower shops in High School. Now, a full time designer, not only can she create beautiful designs but she is our go to "techie". Enthusiastic and full of energy, she is full of new ideas!